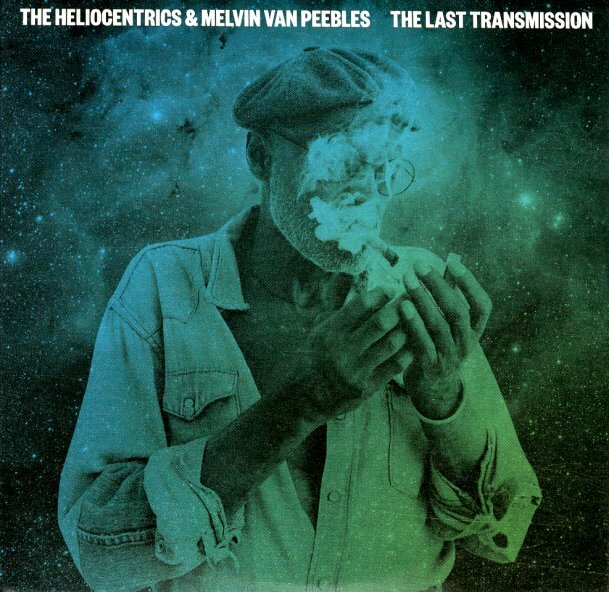 A mindblowing collaboration between The Heliocentrics and underground film legend Melvin Van Peebles – a set that has the group serving up some madly trippy grooves, while Melvin speaks and sings some wisdom of his own! Van Peebles already blew our minds years ago with his insane soundtrack to Sweet Sweetback's Baaaadasss Song – still one of our favorite records of all times – and The Heliocentrics follow in the odd spirit of that gem, by mixing lots of sounds and styles together in a mad cacophony of music – then leaving just the right amount of space for Melvin to come into the mix! Instrumentation is often fuzzy and psych-oriented, but always with a funky, soulful vibe as well – of the sort you'd hear on vintage records from Van Peebles – and titles include "Big Bang Reincarnation", "Transformation", "Infinite List", "Trust The Cosmos", and "Blue Mist". © 1996-2019, Dusty Groove, Inc.